All three leaders – Magnus Carlsen, Anish Giri and Shakhriyar Mamedyarov – drew their games in the antepenultimate round of Tata Steel Chess. 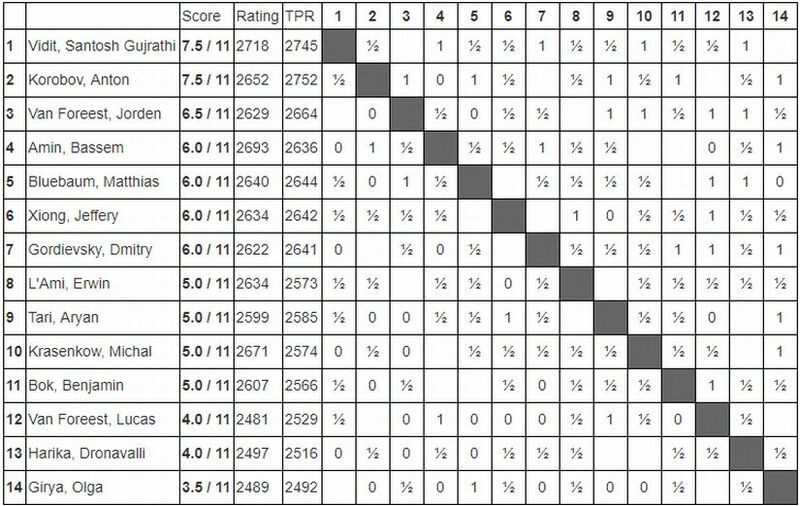 Viswanathan Anand, who was in sole third place at the start of the round, defeated top Chinese woman, Hou Yifan and moved up to clear second. In another important result of the round, Vladimir Kramnik was defeated by compatriot Sergey Karjakin. 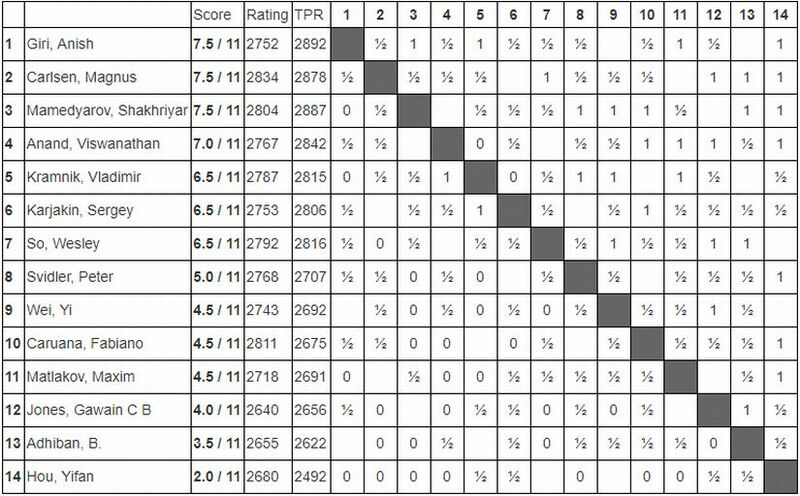 With this loss, Kramnik has slipped down from sole second to joint third in the standings. For the first time in the tournament, Anand changed his opening with the white pieces. Instead of the king’s pawn advance that he has favoured so far in the tournament, the Indian chess legend chose to kick off with his Queen-Bishop pawn this time. The game eventually transposed into a variation of the Queen’s Gambit Declined in which Yifan tried simplifying the position from the very start of the game. Anand got a perfect pawn duo in the centre and avoided simplifications very cleverly out of the opening. On his 15th turn, Anand broke in the centre with his queen’s pawn and within the next few moves gave himself a strong passed pawn in the middle of the board. A few exchanges later, Anand had a clearly better position in a heavy piece endgame which he eventually won in a very instructive manner. 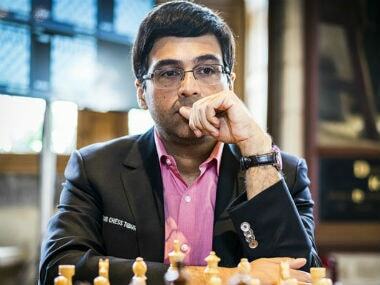 Anand explained after the game that a large part of his opening was preparation. Also, Anand pointed out that once he had the passed pawn in the centre, he couldn’t see what his opponent could have done to defend. “It’s a free roll. I get it and I can press a lot and it’s just unpleasant for her. So, it seems that this setup with black will not be the most popular in this line,” Anand said after the game. The game between Anand and Yifan wasn’t the only Sino-Indian encounter on Friday evening. Baskaran Adhiban was also pitted against another Chinese chess prodigy, Wei Yi. While Adhiban is struggling in the tournament, Wei is somewhere in the middle on the leaderboard. But neither player tried to push for a win in the game. Opening with a Symmetrical English, Adhiban was hardly able to get any advantage out of the opening. Within the first ten moves, the Chinese Grandmaster was able to fully equalize and eleven moves later, the players agreed to a draw. Another tepid draw was seen between tournament leaders Mamedyarov and Carlsen. The game kicked off with a Nimzo-Indian Defence wherein Carlsen, who had the black pieces, was able to trade queens early. Mamedyarov had the advantage of having the two bishops out of the opening but wasn’t able to make much out of it. More pieces were traded off soon and even though Mamedyarov had more space in the ensuing king and pawn endgame, there was no way for his king to break into the enemy camp. The players decided to sign peace after 38 moves of play. 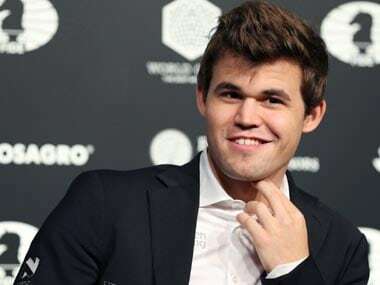 Carlsen said after the game that he was satisfied with the result but wasn’t happy about the fact that he had forgotten his preparation on this line of the Nimzo-Indian. “It’s a decent result but I am not really satisfied with the way it went early on. I knew that we had solved this line – this whole thing starting with 15.Ne5 – but I didn’t check it today. I just couldn’t recall it. 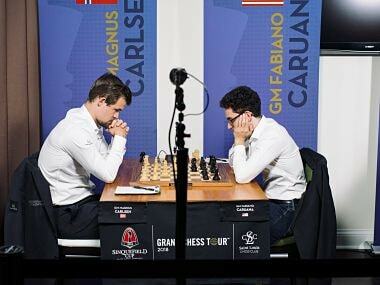 I spent 17 minutes trying to recall what to do there,” Carlsen said. But he further added that Mamedyarov did not play in the most accurate way and that allowed him to solve his problems easily. The Challengers group also featured something similar in terms of result. 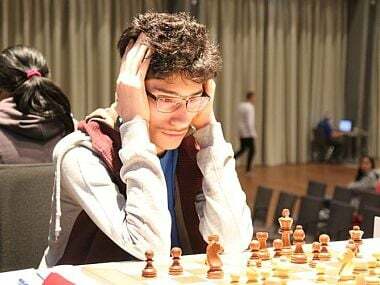 The two leaders, Vidit Gujrathi and Anton Korobov split the point in a rather peaceful manner. Vidit, with the white pieces, went for the 3.Bb5 variation yet again to counter a Sicilian. Queens were exchanged very early in this game as well. In the moves that followed, lots of pawns and pieces were taken off the board. Vidit had a pawn majority on the queenside and even made half an attempt to roll his pawns down the board. But on his 28th turn, Vidit gave up his last queenside pawn for one of Korobov’s central pawns. This also led to a rook exchange after which both players were left with a knight and three pawns on the same side of the board. There wasn’t much to play for in this endgame and the players decided to sign the truce immediately. While the tournament leaders drew with ease, Jorden van Foreest seized his opportunity to get closer to the leaders by winning his game against Harika Dronavalli. Harika had the white pieces in the game and had acquired a pleasant advantage out of the opening. But a slip on her part allowed Van Foreest to get a better position in an endgame with two rooks and bishops of opposite colour. With his passed pawn in the centre, Van Foreest was able to get good play but Harika, too, had built a solid blockade on the light squares. But on her 66th turn, the Andhra girl fumbled again and allowed her opponent’s king into her position. She gave up an exchange with the hope of holding but Van Foreest, with his material advantage was able to hack off another one of Harika’s pawns and create an outside passed pawn for himself. Harika tried fighting on by rolling her pawns down the queenside but Van Foreest parried all threats perfectly and in the end, his passed pawn on the queenside decided the fate of the game. With this win, Van Foreest is now one point behind the leaders. But with only two rounds to go, catching up with Vidit and Korobov seems to be a difficult task for him. In the Masters’ group, however, the tournament is wide open. With three players in the pole position and Anand hot on their heels, half a point behind, anyone can take home the title.